Dr. Ryan Wiser is a Senior Scientist in and Group Leader of the Electricity Markets and Policy Group at Lawrence Berkeley National Laboratory. Ryan oversees a 30-person group that seeks to inform public and private decision making within the U.S. electricity sector through research on electric system planning, reliability and regulation as well as on energy efficiency, renewable energy, and demand response. Ryan specifically leads a research program on renewable electricity systems, including on the costs, benefits, impacts and market potential of renewable electricity sources; on electric grid operations and infrastructure impacts; on public acceptance and deployment barriers; and on the planning, design, and evaluation of renewable energy programs. Ryan has been a lead author for two reports by the Intergovernmental Panel on Climate Change, and he has offered invited testimony to the U.S. Senate. He is a founding member of the academic advisory board for the University of San Francisco's Master of Science in Energy Systems Management; serves on the board of directors for the Clean Energy States Alliance; serves as a United States representative on a multi-country IEA Wind collaboration on the cost of wind energy; and is an advisor to the Energy Foundation's China program. His work has received awards from the Utility Variable-Generation Integration Group, the American Real Estate Society, the Wind Powering America Program, Institutional Investor News, the American Wind Energy Association, and Lawrence Berkeley National Laboratory. Ryan has published 70 peer-reviewed journal articles, 20 book chapters, and over 380 other conference papers, magazine articles and research reports. His work has been quoted in or by the Wall Street Journal, New York Times, LA Times, USA Today, Fox News, Washington Post and numerous other publications, and he has been featured on radio and broadcast news. Ryan regularly advises public and private entities on issues related to renewable energy. Ryan has been a consultant to, among others, the California Energy Commission, the New York State Energy Research and Development Authority, the International Energy Agency, the World Bank, the Center for Resource Solutions, and several private companies. Prior to his employment at Berkeley Lab, Ryan worked for Hansen, McOuat, and Hamrin, Inc., the Bechtel Corporation, and the AES Corporation. Ryan holds a B.S. in Civil Engineering from Stanford University and an M.S. and Ph.D. in Energy and Resources from the University of California, Berkeley. Hoen, Ben, Jeremy Firestone, Joseph Rand, Debi Elliott, Gundula Hübner, Johannes Pohl, Ryan H Wiser, and Eric Lantz. "Do Wind Turbines Make Good Neighbors? Results from a Nationwide Survey of Residents Living Near U.S. Wind Power Projects." 2018. Mills, Andrew D, Dev Millstein, Seongeun Jeong, Luke Lavin, Ryan H Wiser, and Mark Bolinger. "Estimating the Value of Offshore Wind Along the United States’ Eastern Coast." (2018). Seel, Joachim, Andrew D Mills, and Ryan H Wiser. Impacts of High Variable Renewable Energy Futures on Wholesale Electricity Prices, and on Electric-Sector Decision Making. 2018. LBNL-2001163. Millstein, Dev, Ryan H Wiser, Mark Bolinger, and Galen L Barbose. The Health and Environmental Benefits of Wind and Solar Energy in the United States, 2007-2015. 2017. Wiser, Ryan H, Galen L Barbose, and Mark Bolinger. "Retail Rate Impacts of Renewable Electricity: Some First Thoughts." 2017. LBNL-1007261. Hoen, Ben, Sandra Adomatis, Thomas Jackson, Joshua Graff-Zivin, Mark A Thayer, Geoffrey T Klise, and Ryan H Wiser. "Multi-State Residential Transaction Estimates of Solar Photovoltaic System Premiums." Renewable Energy Focus 19-20 (2017) 90-103. Wiser, Ryan H, and Mark Bolinger. 2016 Wind Technologies Market Report. 2017. LBNL-2001042. Millstein, Dev, Ryan H Wiser, Mark Bolinger, and Galen L Barbose. "The climate and air-quality benefits of wind and solar power in the United States." Nature Energy 2 (2017). Wiser, Ryan H, Andrew D Mills, Joachim Seel, Todd Levin, and Audun Botterud. Impacts of Variable Renewable Energy on Bulk Power System Assets, Pricing, and Costs. 2017. LBNL-2001082. Mills, Andrew D, Ryan H Wiser, and Joachim Seel. Power Plant Retirements: Trends and Possible Drivers. 2017. LBNL-2001083. Wiser, Ryan H, Galen L Barbose, Jenny Heeter, Trieu Mai, Lori Bird, Mark Bolinger, Alberta Carpenter, Garvin A Heath, David Keyser, Jordan Macknick, Andrew D Mills, and Dev Millstein. A Retrospective Analysis of the Benefits and Impacts of U.S. Renewable Portfolio Standards. 2016. LBNL-1003961. Wiser, Ryan H, Trieu Mai, Dev Millstein, Jordan Macknick, Alberta Carpenter, Stuart Cohen, Wesley Cole, Bethany Frew, and Garvin A Heath. The Environmental and Public Health Benefits of Achieving High Penetrations of Solar Energy in the United States. Berkeley, CA, 2016. LBNL-1004373. Wiser, Ryan H, Karen Jenni, Joachim Seel, Erin Baker, M Maureen Hand, Eric Lantz, and Aaron Smith. 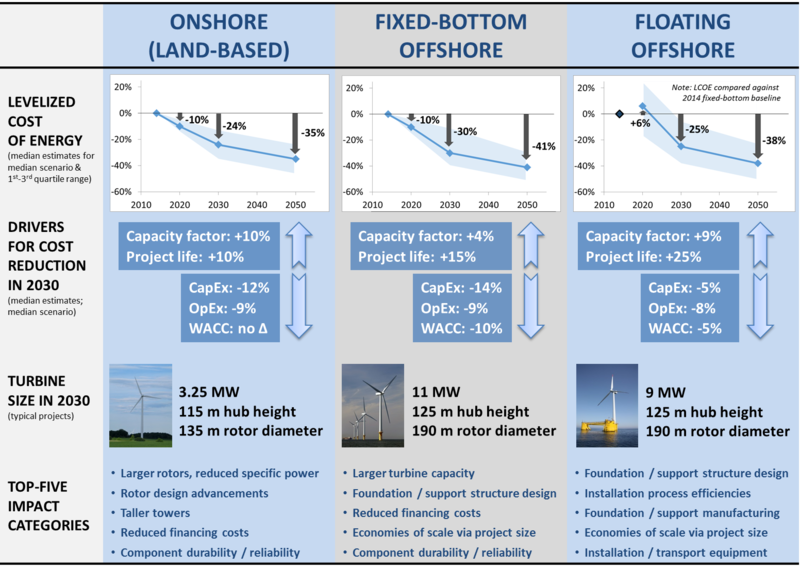 Forecasting Wind Energy Costs and Cost Drivers: The Views of the World’s Leading Experts. 2016. LBNL-1005717. Lamy, Julian V, Paulina Jaramillo, Inês Lima Azevedo, and Ryan H Wiser. "Should we build wind farms close to load or invest in transmission to access better wind resources in remote areas? A case study in the MISO region." Energy Policy 96.September 2016 (2016) 341-350. LBNL-1005781. Lantz, Eric, Trieu Mai, Ryan H Wiser, and Venkat Krishnan. "Long-term implications of sustained wind power growth in the United States: Direct electric system impacts and costs." Applied Energy 179.1 October 2016 (2016) 832-846. LBNL-1005952.